Many flirt with the idea of running a business with their significant other, but not many end up successfully doing so. Running a business with your partner invites both positives and negatives that only come about through this particular business arrangement. Being able to separate oneself from one’s work when the clock strikes five is hard enough for regular employees. It is made virtually impossible when running your own business. Just try to imagine turning the switch off when both you and your partner are running the business. 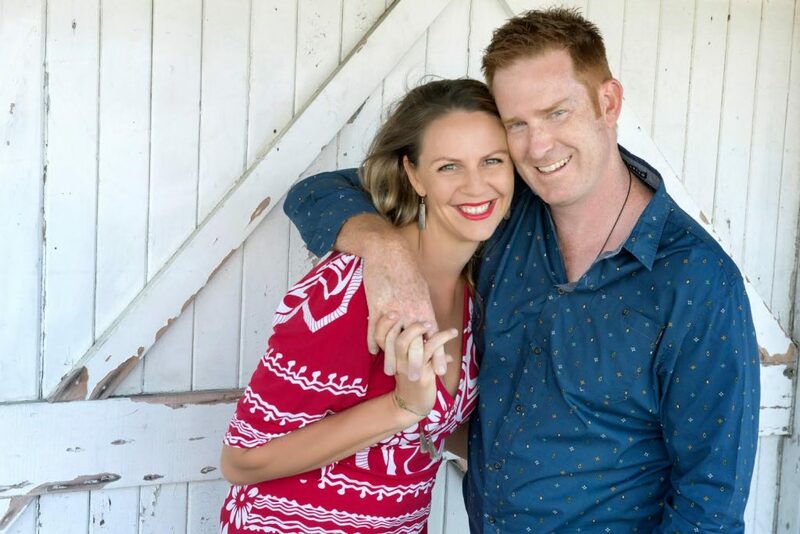 Edward and Rebecca Plant have run a number of businesses together, and they soon found that there was a need for guidance and support from other couples, which is why they started the Institute of Couples in Business. They were kind enough to answer our questions about running a business with a partner. Q. What is the history of the Institute of Couples in Business? The Institute for Couples in Business was created for a number of reasons. At the heart of it is a passion to help couples in business make life easier and more rewarding. We are a couple in business and have worked with many couples in business over the years. This combination lead us to formalise our work and passion into the Institute for Couples in Business. Much of our work is based on the distinction that traditional business models and advice don’t fit for couples in business – the model and solutions need to be different. Many of the challenges couples and their clients face are very different and much more complicated to those that sole business owners face. The reality is couples have to deal with the emotion of sleeping with the boss. Q. What has been the biggest challenge of running businesses as a couple? During our time together there are always challenges. These change based on the stage of business and family. For example, when our second son was born we had record months in our business. We were both exhausted and working on autopilot. Now that they are older there are different challenges. Some of the common challenges that we have navigated through (and our clients benefit from) are boundaries, getting partners brought in, creating change, always talking about work, no time for family holidays, not to mention money and stress!!! One of the main challenges is that there is always a pull to do more work. This is compounded for couples in business due to the fact that there is normally no back up. No back up baby-sitter for you both to work and no back up income. Many couples don’t establish clear boundaries and it becomes all work, work, work and no relationship. There is also the roles in the business challenge, who the team reports to, what each partner is doing, making sure they are both on the same page, and then working in a traditional business model when they really need a ‘couples in business’ model. The challenges are similar to those of sole business owners, however most of the time they are much more complex and emotive. Q. How have you leveraged your experience running businesses together to run the Institute? We still have a separate business to the Institute for Couples in Business, and have a main focus of supporting couples to run their businesses together. The Institute for Couples in Business is focused on the art of working together. So our support, growth strategies and programs are all based on improving business, life, and relationship. All our work is leveraged from our own personal experiences and experiences with working with hundreds of other couples in business. We have proven strategies that have been implemented in our businesses and others businesses. So we learn, adapt, implement, change, share. Q. How do you approach splitting up responsibilities in the management of the Institute? Rebecca and I are really clear on what our strengths are and who should do what. We call these our geniuses. When we both work in our geniuses we create superpowers that propel our business forward. This is the same for every couple in business. Individually you have strengths. Sometimes these can cause friction (especially if your model does not allow for the dynamics of two strong personalities), however when you combine these strengths you magnify the impact and results you can have. We have a process for identifying roles and responsibilities and harnessing each other’s genius to create our superpowers. It takes some tough conversations, some searching for what each of you should really be doing in the business and in the family, some support to make it easier and some fine-tuning to perfect it. But its worth it when you get it working. Q. Have you both discussed in what direction you want to see the business go? All the time. We live and breathe and share everything with each other. We now have specific boundaries on when to do this. That aside we have a weekly, monthly and quarterly rhythm that supports us dealing with operations, growth and direction and alignment. One of the biggest challenges for a couple in business is being on the same page. Most say they are, but the reality is they aren’t – not fully. When this occurs, business is a little tougher and slower. When both partners are aligned everything is easy and you are both propelled forward. We continually work on this and make sure we are aligned. We support each other and empower each other to walk our own paths, yet we continually align all our decisions with the bigger picture for our businesses, our families and the direction we are travelling. Q. Are there any things you would have done differently when starting out? Hindsight is always something that you can learn from. Sure if things had happened quicker or a bit easier or the results happened faster – they all sound nice. The truth though is that all of them, for whatever reason have lead us to where we are right now. And that is fantastic.